Confession.. I didn’t enjoy Tokyo the first time. It was August. It was hot. Strollers and stairs frustrated me. Strollers + stairs + crowds = I was over it. Nathaniel really loves everything about Japan. Tokyo has been his favorite place to go.. ever. We decided to give it another go.. this time, in better weather. It made a difference. BIG TIME. Spring break also meant the potential to make it for cherry blossom season. We knew it was really up to luck and were crossing our fingers to check it off the bucket list. We booked Cerulean Tower again because we love the location. 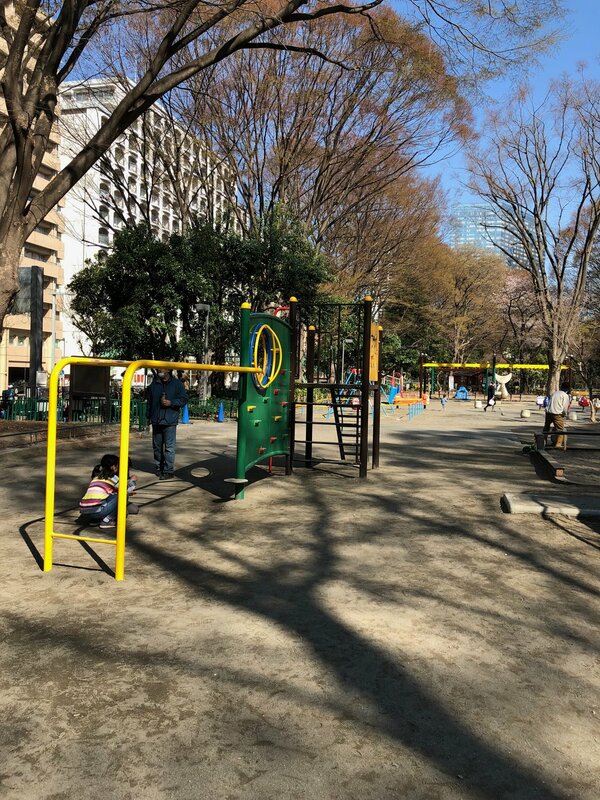 It’s walking distance from Shibuya Station. 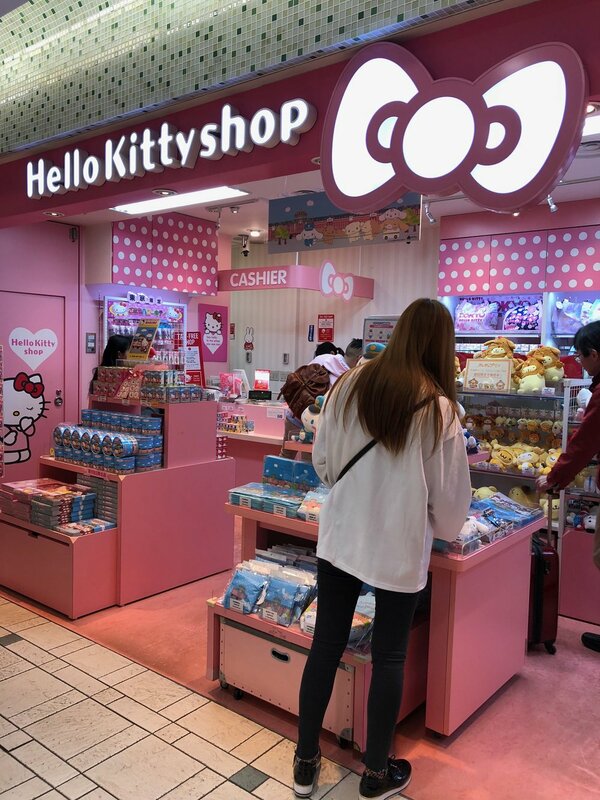 It has a 7-11 on the 2nd floor. The staff is polite as ever. Their rooms also fit a family of 4. The views are spectacular. More on Cerulean Tower from our 2015 trip. Meiji shrine - We landed pretty early so we explored Meiji shrine again. 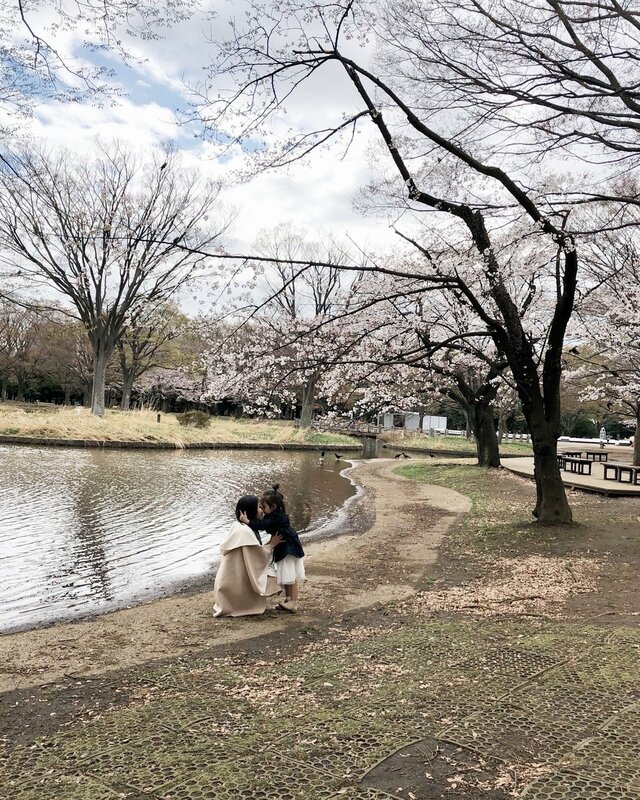 Yoyogi Park - The weather was gloomy, but we managed to spot our first cherry blossoms here! They were only just starting to bloom. 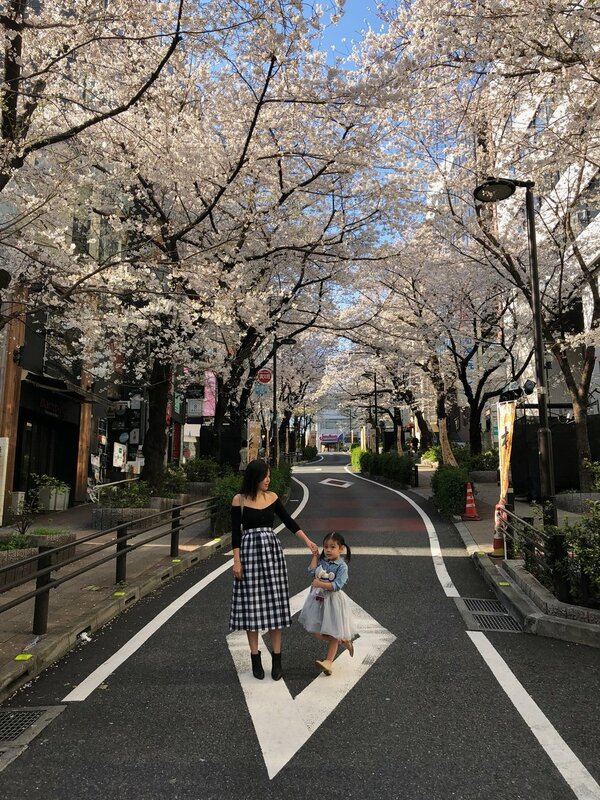 Asobono/Tokyo Dome - The highlight for Olivia (aside from Tokyo Disney). We came here a few times. It’s a big space and clean! We arrived a little before opening time and were among the first group to enter (there was a short line). They had a big ball pit, an inflatable, a toddler room, and themed play rooms in the back. There are a handful of attendants making sure that the kids are playing safely. It’s on the grounds of Tokyo Dome City so there is a food court. Niti took Nathaniel to the amusement side of Tokyo Dome City while Olivia and I played in Asobono. Tokyo Station - Had to stop by Character Street and pick up some souvenirs. Shinjuku game station - We stumbled upon this arcade while walking around. Kids aren’t allowed in at night time, but we did manage to win some super soft stuffed animals before they asked the kids to leave. If you’re having a really hard time, you can ask an attendant to readjust the stuffed animal in the machine. 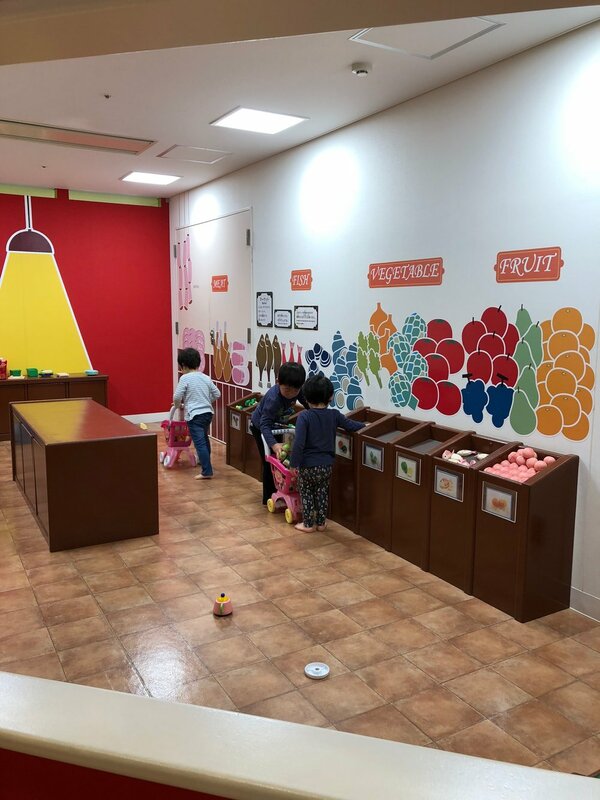 Kiddy Land - We all love this toy store because we’re able to find toys that aren’t available in the US. Sakura Street - On the way to our hotel from Shibuya station, we spotted this cherry blossom lined street from the overpass walking bridge. It was the street right next to our hotel. As the days passed, the blossoms got fuller and fuller. 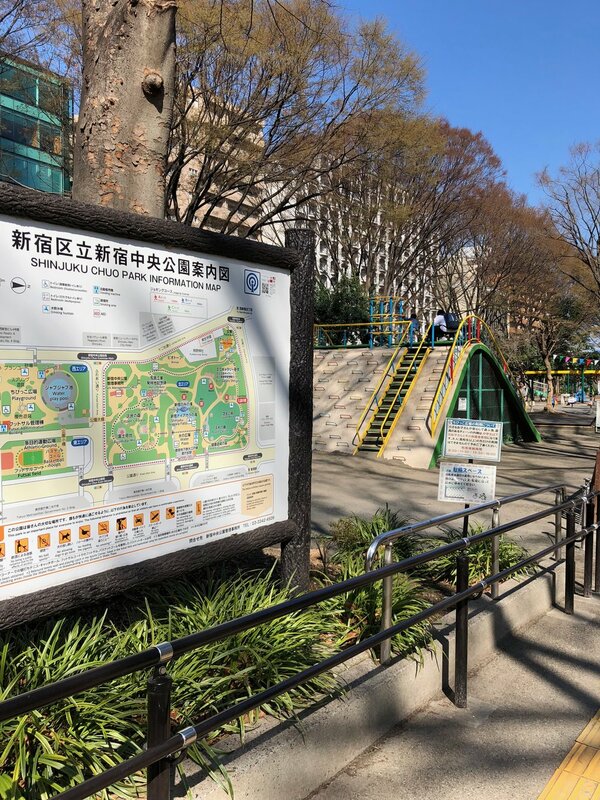 Shinjuku Chuo Park - Love love LOVE this park. 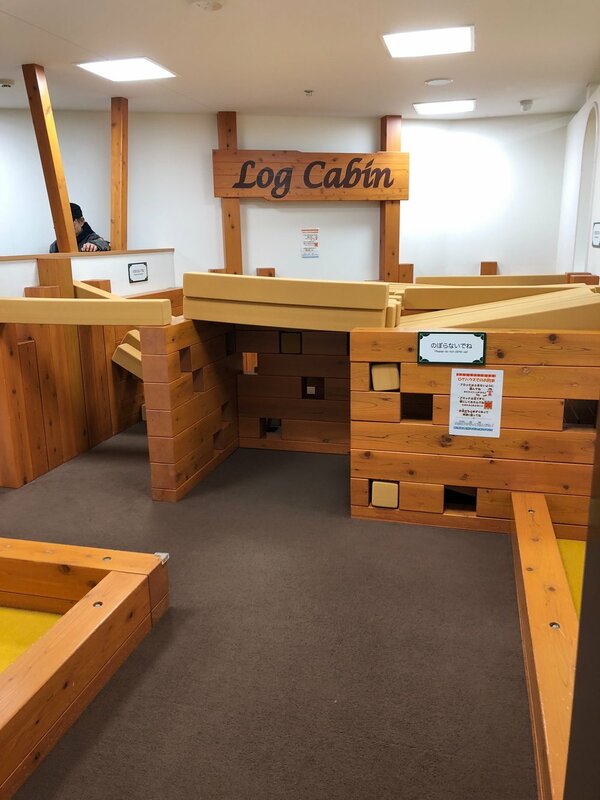 It has a few different sets of playgrounds and plenty of room to run around. 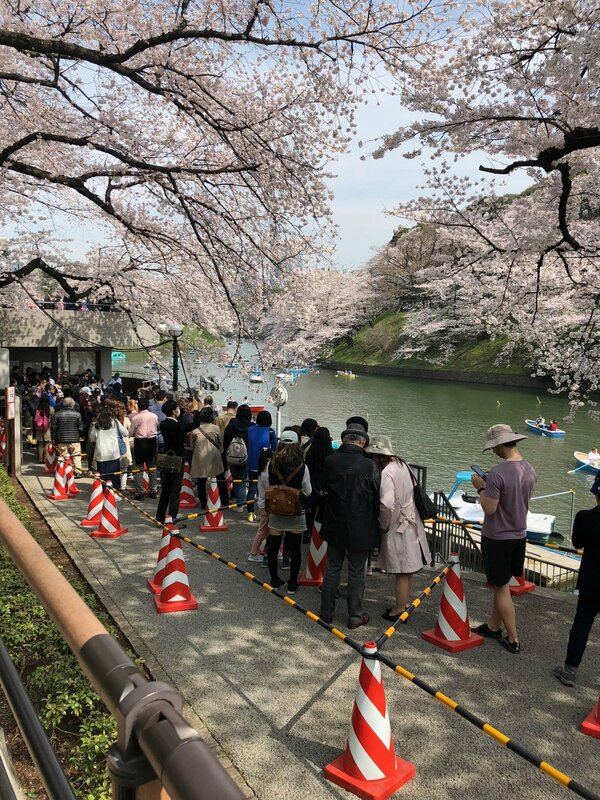 Chidorigafuchi - Row boats surrounded by views of cherry blossoms in Chiyoda. This is one of the best experiences we’ve ever had. We arrived close to opening because we read that lines can get super long here. Before opening, lines are relatively short and they move fast. We waited about 15-20 minutes. Max 3 people can ride per boat so we had to do 2 and 2. We chose the peddling boats over the row boats because with just Olivia and I in one boat, I’m not sure we would’ve made it back if it depended on me + oars. 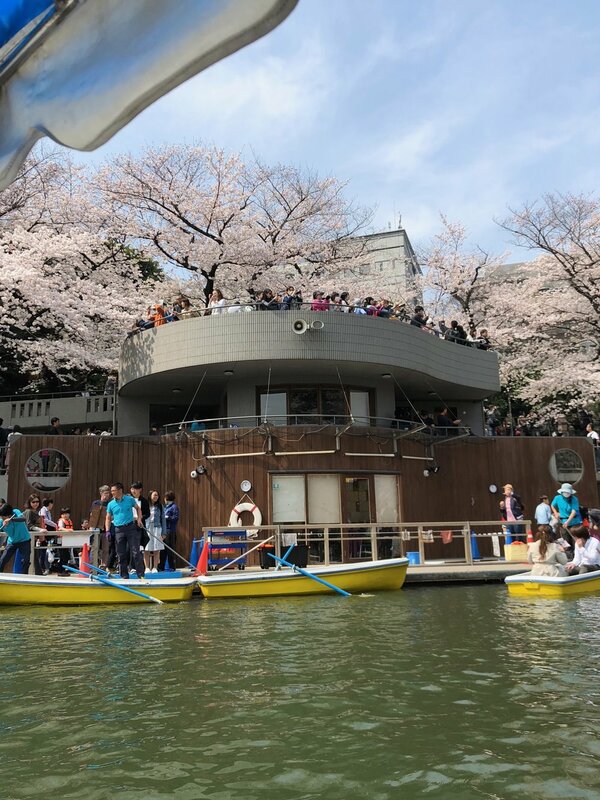 Rowing underneath cherry blossom trees could not have been any more dreamy. 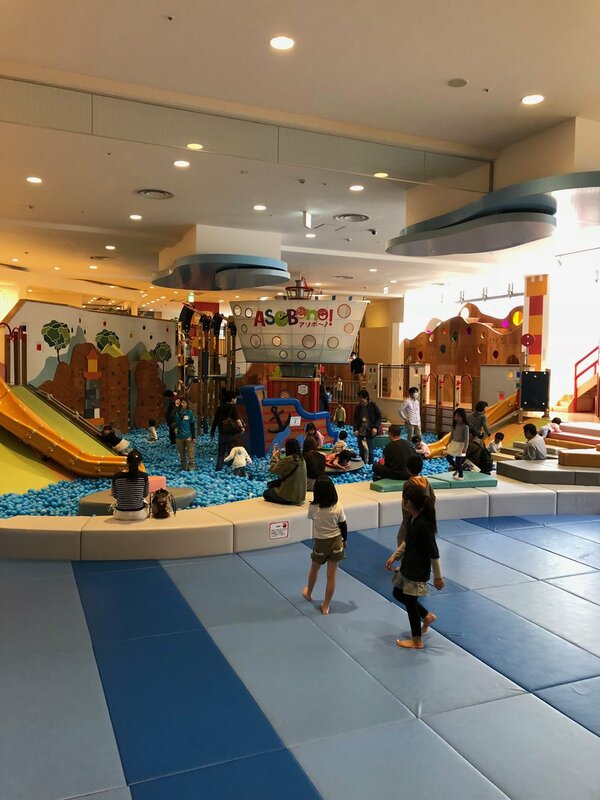 Round 1 in Diver City - Odaiba itself has so many things for kids to do. 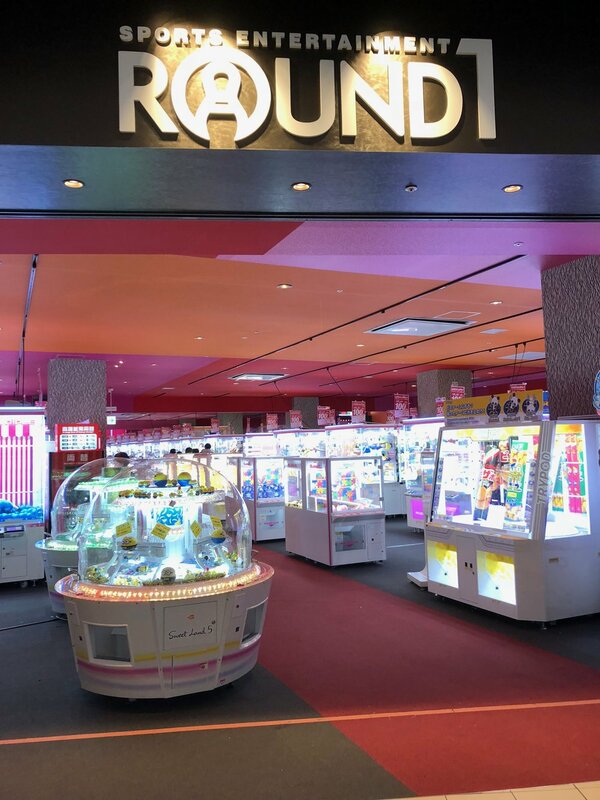 Diver City Plaza had Round 1 arcade. 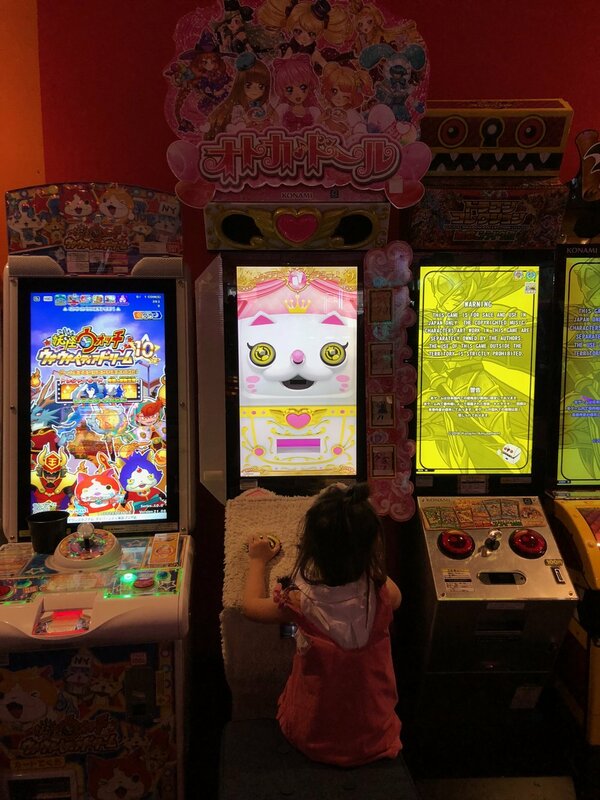 Japanese arcades are basically the coolest things ever. 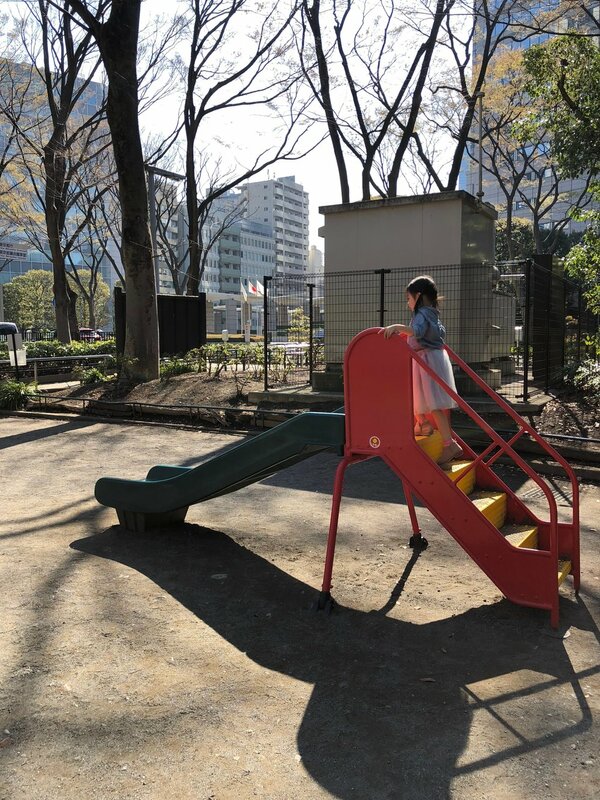 We wanted to let Olivia play in Spocha too, but there were no convenient time slots for a walk in. 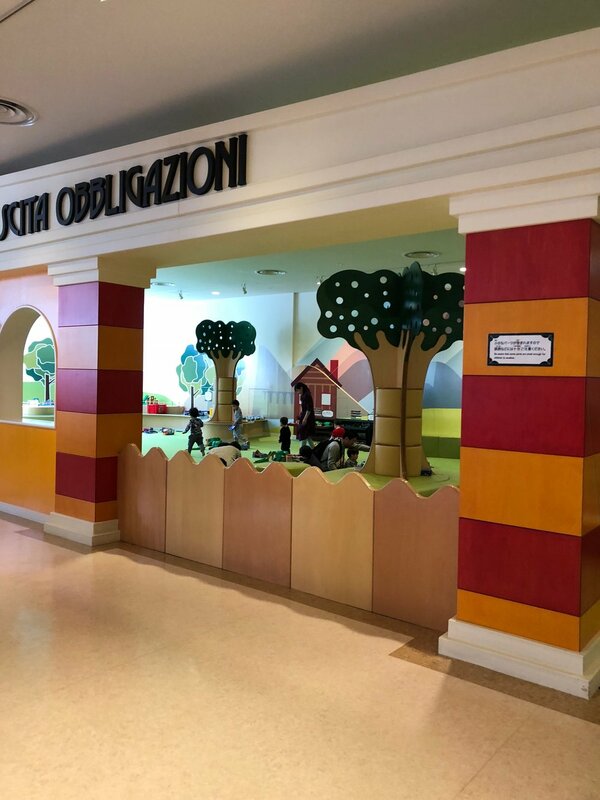 Spocha is a kids play center in the same plaza. Venus Fort - We walked to this shopping plaza instead. They had an inflatable set up outside and Aneby Trimpark. 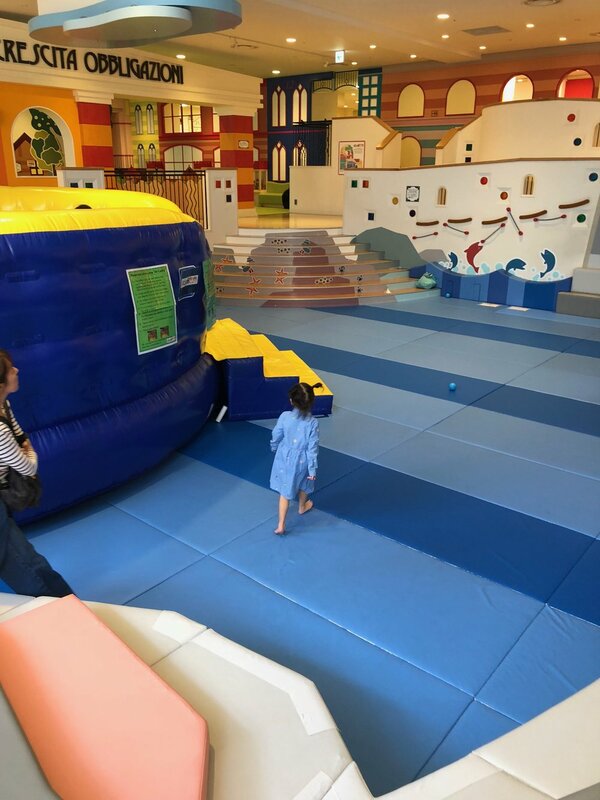 We’ve been here once before and what parent doesn’t love an indoor playground for their kids to run around? Ferris Wheel - After Venus Fort, we walked to Pallete Town to ride the ferris wheel. There’s also a car museum on the same grounds. Ichiran Shibuya - This ramen spot is open 24 hours. We ate here a lot. For any meal of the day. We never had to wait in a line (there is usually a line during busy hours). First thing you do is order from a vending machine and it gives you tickets. You find stall to sit in and you have the option of opening the dividers if you’re with a group. There’s a form per stall where you specify how you want your soup (how rich, how your noodles should be cooked, if you want scallions/garlic etc, how spicy). It’s so yummy and the kids were definitely a big fan. Han no Daidokoro Kadochika - This place has 5 stars and over a thousand reviews. We didn’t have a reservation (recommended), but they were able to take us in. It is a small restaurant. The staff were extremely kind and friendly (especially the host). If you love marbled meat and grilling, definitely give this place a try. It was within walking distance from our hotel. Schezuan - We were pretty jet-lagged for the beginning of the trip, so one night, we opted to eat at the hotel Chinese restaurant. It was decent, but nothing to write home about. We wanted to try Dancing Crab while walking around one day, but we had no reservations and it was an hour wait. We found a hot pot place nearby instead. I have no idea what the name is, but it was rather bland. I would skip this place. 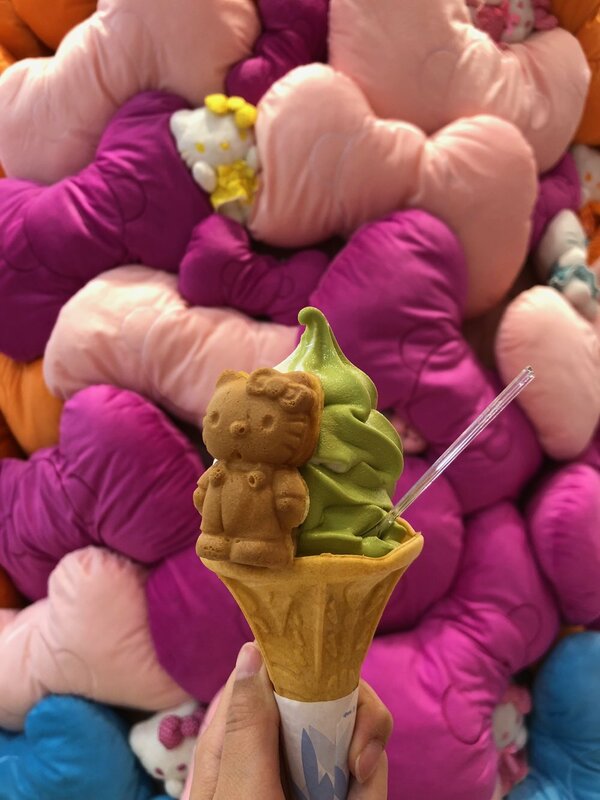 Hello Kitty Cafe - Cutest treats ever! And they were good! Especially the little Hello Kitty shaped cake/breads. This place is also located in Diver City. Hermes Cafe in Ginza - Honestly only went here for the Hermes Kelly shaped chocolates. The lobster rolls were delicious too. Rangetsu of Tokyo - We were in Ginza and needed to find a dinner spot and found this place. They’re steaks are amazing, but I’m not sure it’s the type of place we’d go again and again. A bit too fancy. Han no Daidokoro Bettei - We made reservation for this place. We got a little lost finding it because it’s actually upstairs in a building. Even with reservations, we had a short wait. Our kids love steak, so yakiniku is always a top option for us. Almost every day, we would pick up snacks at 7-11, Family Mart, or Lawson. Their quick bites aren’t bad at all. We also found green juice for the kids in Isetan’s children’s section. The department store food courts are also a great option. Taking a day trip was something we were considering. We played it by ear and because of jet lag, woke up at 3am one day and decided to go for it. 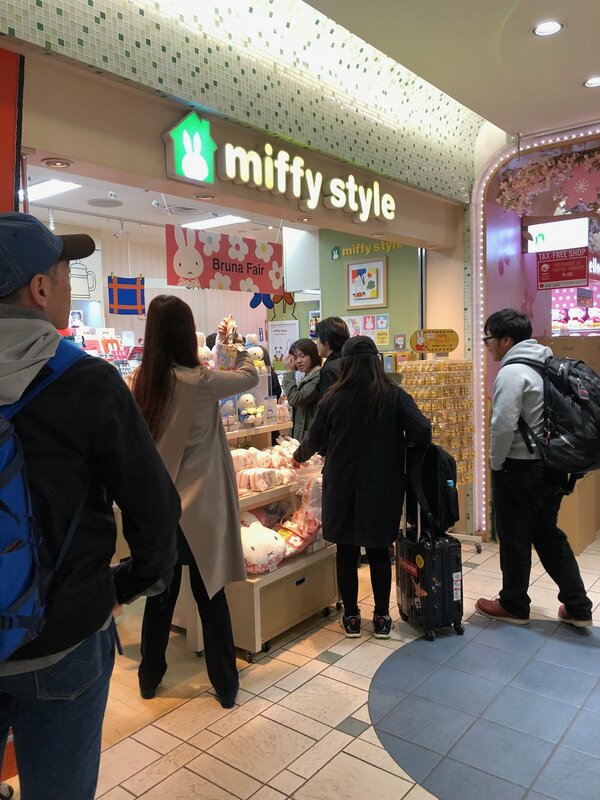 We got up, got ready, and purchased our tickets when we got to Shibuya station. We purchases some snacks and made sure to pack the iPads. We went from Shibuya station to Shinagawa station to take the bullet train (Nozomi) to Kyoto. After 2 hours and 20 minutes, we were in Kyoto! Fushimi Inari-Taisha Shrine - This is the number one tourist spot in Kyoto. We arrived by taxi and just walked the grounds. We had a stroller and attempted to go up the mountain, but part way through, we gave up. It’s a lot of stairs and an ascending incline. With nowhere to stow our stroller + two kids.. we decided to just walk back down. There were food stands below and we checked them out instead. Gion - We saw so many people dressed as Geishas here. Olivia adored it and asked for her own kimono. We found a little shop on this street and dressed her then and there. She asked for a fan and shoes to match. The shop owner gifted her a little bag as well. This made her SO happy. Heart-melting. We did not pre-plan at all and wished we had visited the Higashiyama District. The Sannen-zaka and Ninen-zaka are preserved districts featuring traditional shophouses and pedestrian-only walkways. From Kyoto, to took a 30 minute train to Osaka. Grand Front - This shopping mall was a bit overwhelming. It’s very busy and it’s linked directly to the train station. Dancing Crab - We didn’t get to try it in Tokyo, so we tried it at Grand Front. It’s very lively here and every so often, the staff performs a dance. There are no plates. They serve directly onto a sheet of lined paper. We thought it’d be similar flavors to the cajun-style garlic butter we’re used to, but it was more like a marinara sauce. Toward the end of the meal, they cam around with steamed pasta to throw onto your seafood too. Interesting experience and good enough to try. Pokémon Center - On the other end of the train station (opposite of Grand Front) was the Pokemon Center. 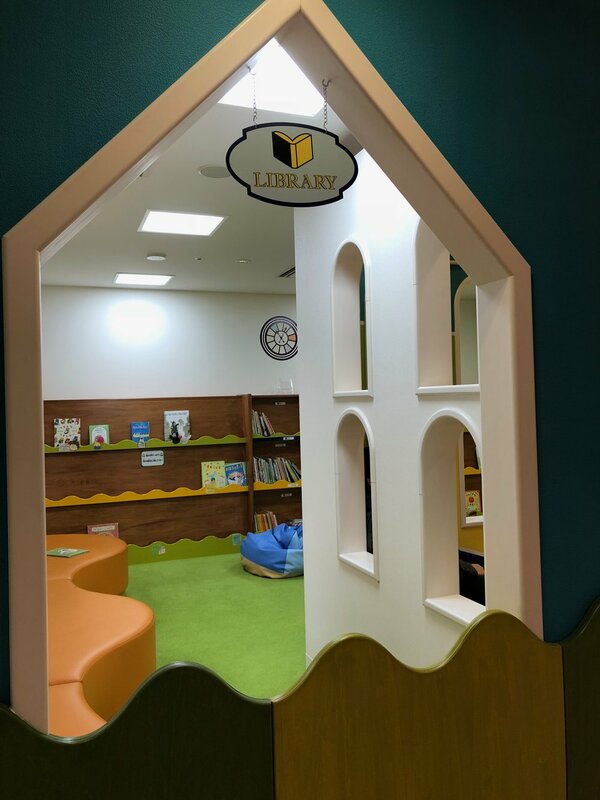 It’s Pokemon heaven if your kids are into that. Dotonbori - You can’t go to Osaka and not go here. It was so crowded, but so cool to see. I have no idea what this place was called, but it was a good Thai food fix. The decor reminded us of Thailand. After dinner, we caught the train back to Tokyo. We do plan to explore these cities again and more of Japan, but it was nice to catch a glimpse of it while we could. Olivia would love the deer park in Nara. I wrote a separate post for our adventures —> here. Do we plan to return? YES. In good weather, of course. We get enough heat in Florida. 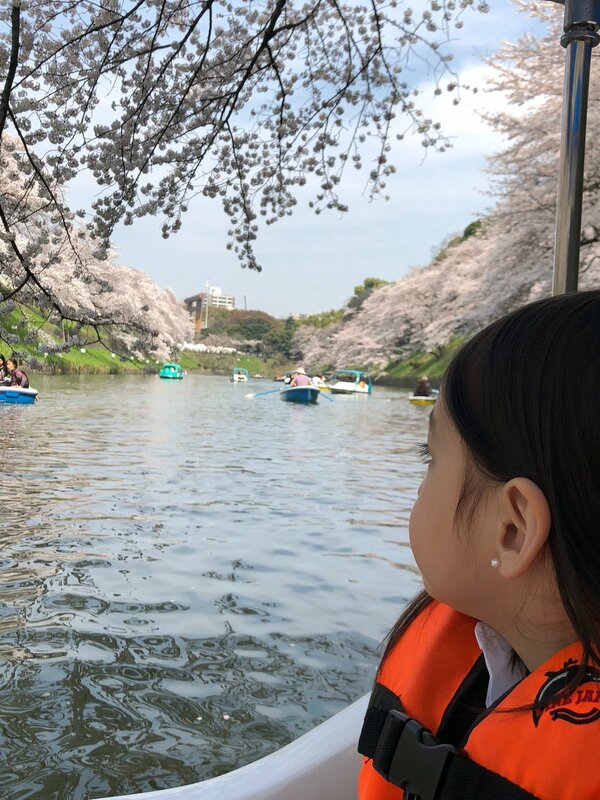 With Olivia older, she now has the same love for Japan as Nathaniel does. We do have other Asian countries/cities in mind before returning, but I would do it all over again. Finding kid things to do played a big part. And the cherry blossoms. And the food. Always the food.